Preseli Bluestone, British Spotted Dolerite, is famous for its use as the original inner rings of Stonehenge. Approximately 80 of these bluestone columns, each one harder than granite and weighing about four tons, were transported over 240 miles (385 km) to Salisbury Plain. They originated, as do these tumble stones, in the Preseli Hills of West Wales. Why and how this stone was brought from such a distance has remained a mystery, despite much speculation and research. 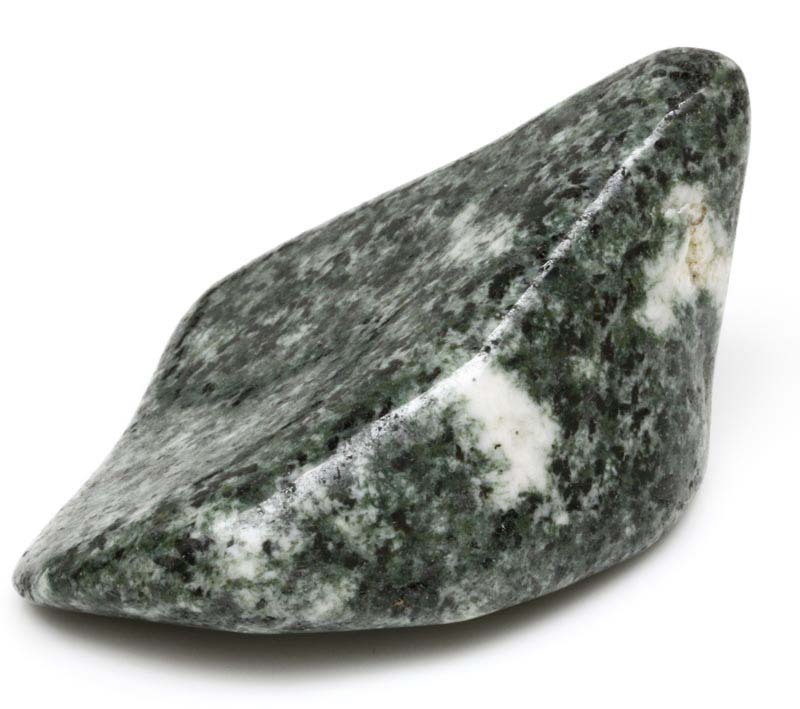 So many healing and magical attributes have been attributed to this famous stone, it is difficult to know who and what to quote, but one thing is for sure; no one moves massive rocks hundreds of miles without good reason. The frequency of Preseli Bluestone is healing, expands the intuition and resonates with the third-eye.